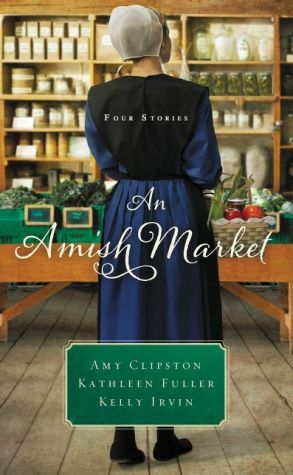 All the color and variety of a quaint Amish shop in a charming collection of novellas by three of your favorite authors. Feel free to come in and browse! Every week, Hannah Lynne brings her home-churned butter to the local market. And every week Ezra stops by to purchase some. Hannah Lynne knows not to read too much into it since Ezra is a confirmed bachelor and barely even glances her way, despite any hope to the contrary. But when Ezra bids an exorbitant amount to win the quilt she has her heart set on, Hannah Lynne can’t stop her heart from taking over her mind. Could Ezra finally be in the market for love? Shattering a jar of pickled beets isn’t the impression Isabella hopes to make on her first trip to the local Combination Store of Bee County, Texas. But as embarrassed as she is by the accident, she doesn't think it warrants the frosty reaction from the handsome manager of the store, Will Glick. As she soon learns, though, Will’s heart has been broken one too many times. And now, for some reason, Isabella finds herself determined to be the one to repair that broken heart and renew his faith in love.